"This is not a cartoon, this is the real world." Universal has revealed the first official teaser trailer for M. Night Shyamalan's Glass, the highly anticipated sequel to Shyamalan's Split from 2016, which turned out to be a secret sequel to Unbreakable. Glass combines all three and brings back all of the characters: James McAvoy as Kevin Wendell Crumb, a serial killer with 24 personalities; Bruce Willis as the "unbreakable" David Dunn; and Samuel L. Jackson as the frail evil villain Elijah Price, aka Mr. Glass. The full cast also includes Sarah Paulson as their psychiatrist, Anya Taylor-Joy, Spencer Treat Clark, Luke Kirby, Charlayne Woodard, and Rob Yang. This is a hell of a first trailer, really getting right into it and giving us some footage that looks fantastic. I am more than sold on this, it looks even better than I was expecting. 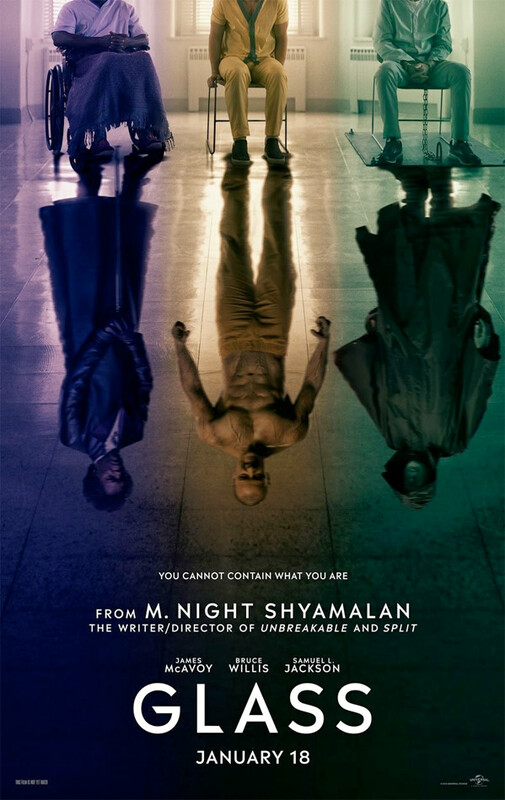 Security guard David Dunn (Bruce Willis) uses his unique supernatural abilities to track Kevin Wendell Crumb (James McAvoy), a disturbed man who has 24 personalities. 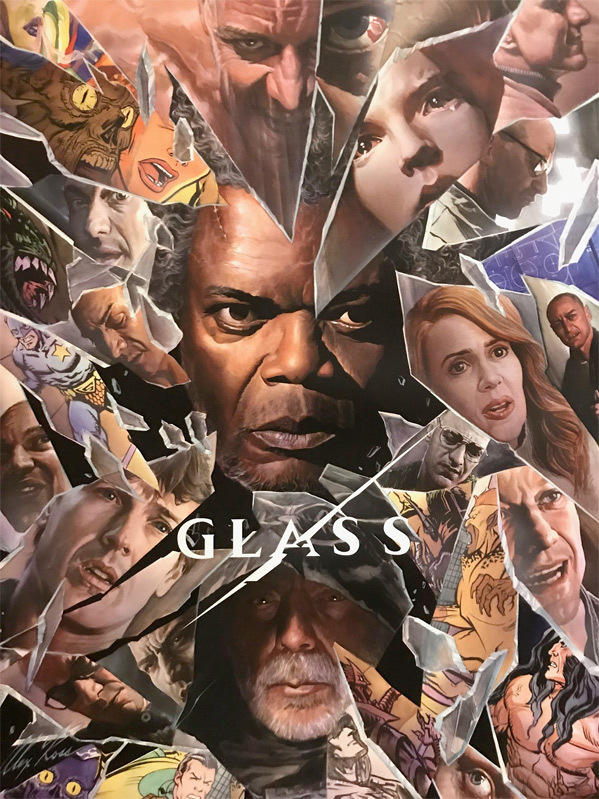 Glass is both written and directed by American filmmaker M. Night Shyamalan, director of the films Praying with Anger, Wide Awake, The Sixth Sense, Unbreakable, Signs, The Village, Lady in the Water, The Happening, The Last Airbender, After Earth, The Visit, and Split previously. This is produced by Jason Blum and M. Night Shyamalan, along with Marc Bienstock and Ashwin Rajan, co-produced by John Rusk, and executive produced by Kevin Scott Frakes and Steven Schneider. Universal will be releasing M. Night Shyamalan's Glass in theaters everywhere starting January 18th, 2019 at the beginning of next year. First impression? Who's excited for it already?